Last weekend, I attended Kindling Words, an annual writing retreat for writers, illustrators, and editors that takes place in northern Vermont. This was my second time going, and I loved every second of it. One of the highlights was the Saturday night bonfire. Dressed in our warmest clothes, we all trekked out behind the hotel and clustered around a campfire. We each brought a wish or a resolution or a dream that we'd written on a piece of paper -- the idea is that if we burn the paper, our wish will come true. After watching a few other people toss their dreams into the flames, I crumpled mine and threw it into the fire. Wind blew it out onto the edge of the embers. I darted in and snagged it. Second try, I tossed it harder toward the center of the logs. Wind tossed it out, and it skittered over the ice. Third try, I tried an underhand toss. It rode the smoke out to land next to a smoldering log. Fourth try, I scooted around the campfire and threw it onto the fire with the wind at my back. The paper uncurled so that the words were facing the sky, and the flames ate it from the outside in. I retreated back to the circle of writers and illustrators and editors, and I said that I was worried that maybe it meant my wish wouldn't come true -- the fire didn't seem to want it. And the person next to me said don't worry. Maybe it meant that my wish would come true but I needed perseverance. I liked that. I liked that very much. Certainly a much nicer interpretation than my being an idiot for throwing it into the wind three times before it occurred to me to move to the other side of the fire. Anyway, I think it's a nice metaphor for writing. We're tossing our dreams into the fire and hoping they burn true. Sometimes it takes a LOT of tosses. Important thing is to keep trying. Also, if the wind is in your face... MOVE. 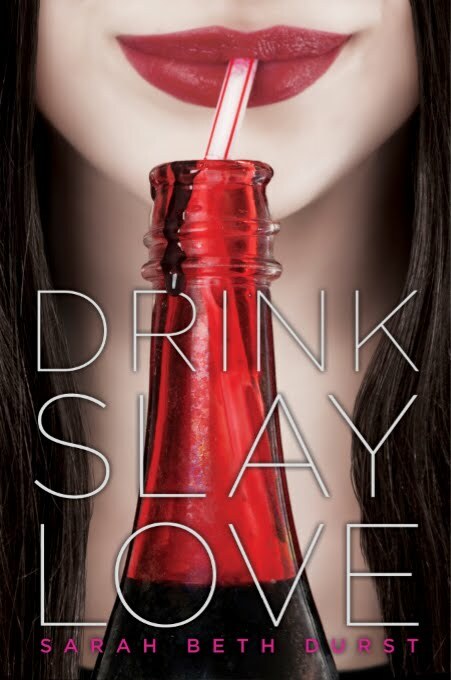 ... the cover art for DRINK, SLAY, LOVE! "One hour until dawn," Pearl said. She leapt off the roof and landed catlike on the pavement. "Oodles of time, if we steal a car." This cover is totally her. DRINK, SLAY, LOVE is about Pearl, a vampire girl who develops a conscience after she is stabbed through the heart by a unicorn's horn. It's coming out September 13, 2011 from Simon & Schuster / McElderry Books. I don't know the names of the cover artists/designers yet, but whoever you are... I think you are brilliant!!! Thank you (and everyone at Simon & Schuster) for this gorgeousness. So... what do you guys think??? Do you like it? There is a lot of snow outside here. A LOT of snow!!! All the snow makes me think of the time that I spent listening to the whisper and crackle of the crumbling frozen sea and plotting the journey of the sun as it circles the horizon at the top of the world. I wasn't in the Arctic in person. I've never been there. But for months at a time, I lived there in my head. One of the things that I love about being a writer is that you have a legitimate excuse to immerse yourself in another world. While I wrote my novel Ice, I listened to Arctic-themed music. I watched documentaries about the Arctic. I plastered my desk area with photos of the Arctic and covered the floor with maps. And I read and read and read. I devoured everything that I could get my hands on that had to do with my new world -- dozens of nature guides, survival guides, polar bear books, and explorer memoirs. I'm the only person I know who owns a North Slope Barrow dialect Inupiaq-English dictionary. There is a common misconception that research isn't necessary for fantasy novels. After all, it's made up. But you're asking readers to believe in the impossible. If you build that impossible dream in the middle of a sea of real details... well, then your ice castle won't be standing on air. You'll be able to walk inside. - The Eskimo Storyvteller, Folktales from Noatak, Alaska by Edwin S. Hall, Jr.
To the authors of all the above books: Thank you for sharing your world! Snoopy Dance of Joy! Revisions are DONE!!! This week, I sent off the revised manuscript for DRINK, SLAY, LOVE, my next novel. Cue dance music. To be honest, I'm always a little bereft when I finish revisions. I adore revising, and I particularly adored working on this novel. This one was fun from start to finish. I am going to miss Pearl and Evan and Bethany and Jadrien and Antoinette and Matt and Zeke... But I can't wait to introduce you to them! 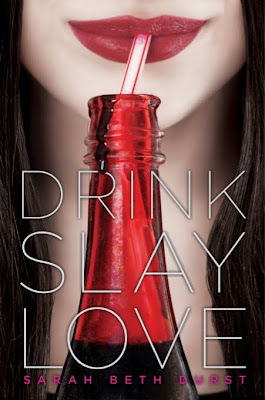 I have a date for that introduction: the official pub date for DRINK, SLAY, LOVE is September 13, 2011. It's on Amazon already, as well as GoodReads, which makes it feel a lot more real. Still feels futuristic to write 2011. We're only four years away from the future date in Back to the Future II. And I still don't possess the skills to handle a hover-skateboard. Or, you know, a regular skateboard. Anyway, these revisions are my excuse for my absence from this blog for the last month. I received the revision letter from my editor just after Thanksgiving. Given the way my family does holidays (sprawled across the entire month), the end of 2010 was VERY busy. But it was busy with family and writing, my two favorite things. Perfect way to end a year (and start a new one!). So goodbye, 2010! Hello, 2011! And happy New Year, everyone! Wishing you all a year filled with health, happiness, and all of your favorite things!